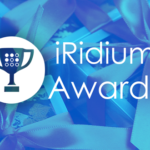 iRidium Awards 2019 Project Competition is On! 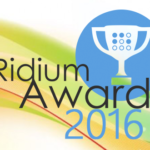 We are happy to inform you that the Sixth annual project competition iRidium Awards 2019. started. We traditionally accept projects in 3 nominations, so we’ll have 4 winners! We’ll have the main winner – Grand Prix of iRidium Awards 2019 and one winner in each nomination. There will be only 1 winner in each nomination. A project from any nomination can get the Grand Prix of iRidium Awards 2019. In addition, iRidium mobile team can single out any project, that we unanimously liked, but that did not become a leader in any nomination. Make a good video of your project. Upload the video to You Tube with #iRidiummobile hashtag in the title and by iRidium label in the video. Fill in this entry form till May 1, 2019. IMPORTANT: quirements to the video! 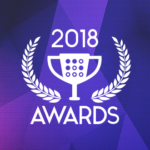 iRidium Awards 2014, 2015, 2016, 2017, 2018 showed that a beautiful video of the project contributes greatly to your victory. See videos from the previous contests. After the competition we’ll show your beautiful video on our web-site, on our official pages in social nets, at exhibitions where we and our partners take part and in all other resources available to us. We’ll always show your company name, as the integrator of the project, with contact information. So, spend some time on making a high-quality video of the project, and it will work well for YOU. No more than 3 minutes. You are responsible for ensuring that any use of video, imagery or music meets copyright and fair-use laws. By submitting a video to the contest, you grant iRidium mobile a royalty-free, irrevocable right to reproduce, publish distribute, perform, display, create derivative works of the submission, or otherwise use the work for commercial purposes, and authorize others to do so.